DACCIWA was a large multi-national (Germany: KIT, DLR; France: CNRS, Université Blaise Pascal Clemont-Ferrand II, Université Paris Didertot, Université Paul Sabatier Toulouse III, Université Pierre et Marie Curie; UK: Met Office, University of Manchester, University of Leeds, University of York, University of Reading; Switzerland: ETH Zürich; European: ECMWF; Ghana: KNUST; Nigeria: Obafemi Awolowo University) project funded by the European Union 7th Framework Programme to investigate atmospheric processes over West Africa, ranging from the impact of air pollution on atmospheric health to the future climate of the region. Arranged around seven interlinking work packages (WP1: boundary layer dynamics; WP2: air pollution and health; WP3: atmospheric chemistry; WP4: cloud-aerosol interactions; WP5: radiative processes; WP6: radiative processes; WP7: precipitative processes; WP7: monsoon processes), the project aims to improve our scientific understanding of this region and its resilience through increased scientific understanding of key atmospheric processes. The summer of 2016 was the focal point for the experimental activities. 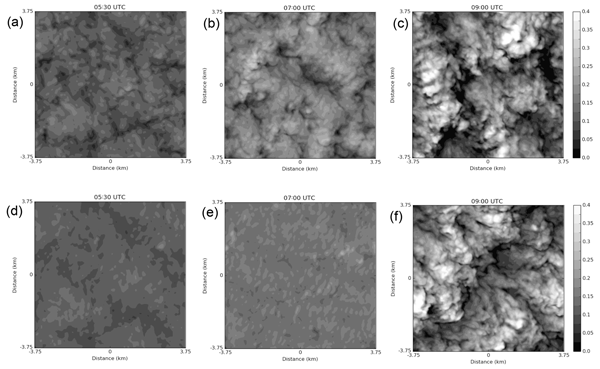 Highly instrumented supersites at Savé in Benin and Kumai in Ghana provided multi-week analysis of a range of meteorological parameters and targeted cloud formation, low-level jet activation, and precipitation formation. Meteorological sondes were released at regular intervals and as special observing periods from a range of cities in the region. 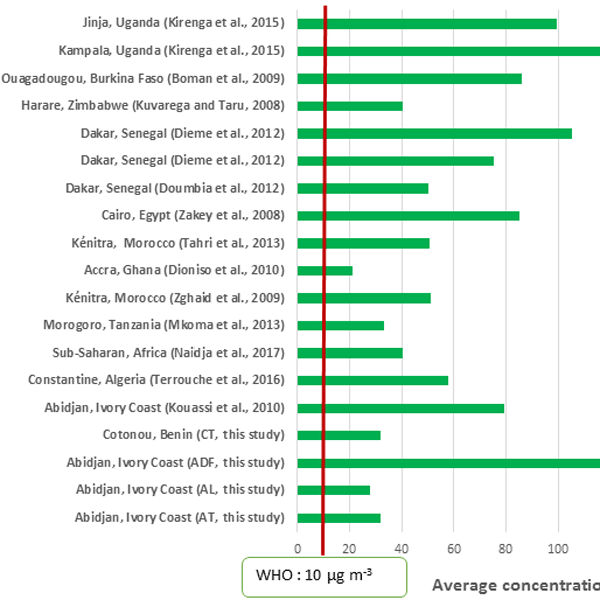 Air quality measurements in the cities of Cotonou, Abidjan, and Akouedou provided information on pollution loads in regional cities and emission factors for emission estimates. Three research aircraft (DLR Falcon, BAS Twin Otter, SAPHIRE ATR43) were based in Lomé, Togo, for a month to make a range of observations over the coastal cities of Ivory Coast, Ghana, Togo, and Benin and inland over the rainforest, agricultural, and residential areas. The aircraft were equipped to measure a range of gas, aerosol, and meteorological parameters. A more complete list of payloads, observations collected, flight paths flown, etc. is attached as a PDF, which forms part of a paper currently being reviewed by BAMS that describes the summer campaign. The intention of the scale issue is to bring together all of this activity into a single area to allow synergies between the papers to be more evident and to help advertise the data and science generated by the DACCIWA project in this data-poor area to the wider community. This paper presents the first performance assessment during a field campaign of a new reusable radiosonde: the Windsond S1H2. The reuse feature of the S1H2 requires evaluation of the data alteration due to sonde reuse in addition to performance and reproducibility assessments. 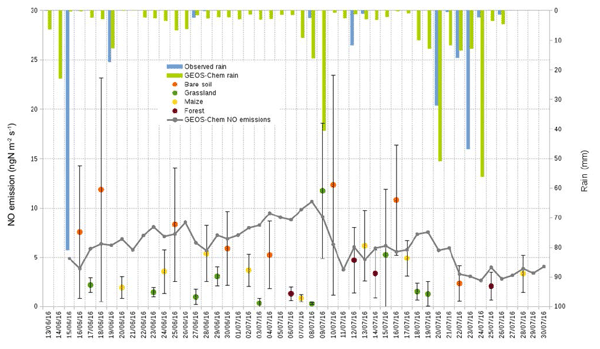 A comparison with the Vaisala RS41-SG, a well-proven system, shows the potential of the S1H2, with no major performance degradation arising from S1H2 sonde reuse but shows the need for improving the S1H2 GPS system. Biogenic fluxes from soil at a local and regional scale are crucial to study air pollution and climate. Here we present field measurements of soil fluxes of nitric oxide (NO) and ammonia (NH3) observed over four different land cover types, i.e. bare soil, grassland, maize field, and forest, at an inland rural site in Benin, West Africa, during the DACCIWA field campaign in June and July 2016. This study reports the first flaring in-situ measurements in southern West Africa. According to the measurements, oil rig flaring plumes in Ghana lead to increases in NO2 and aerosols but not always in CO and not in SO2. Flaring measurements can be reproduced using FLEXPART model, adjusting both the emission flux and the injection height. The DACCIWA satellite flaring inventory provides a reasonable estimate of flaring emission. 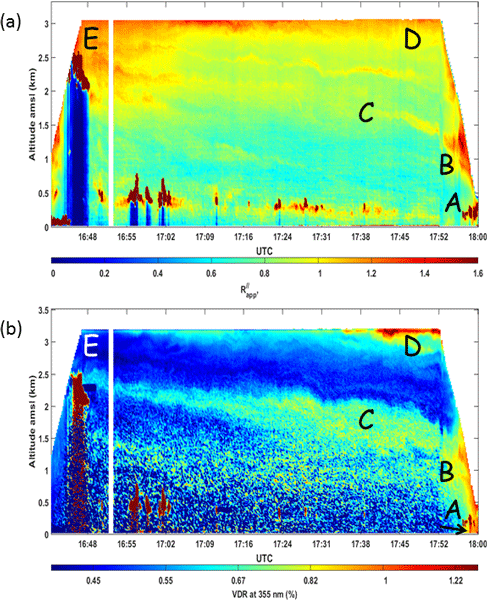 This study deals with nocturnal stratiform low-level clouds that frequently form in the atmospheric boundary layer over southern West Africa. We use observational data from 11 nights to characterize the clouds and intranight variability of boundary layer conditions as well as to assess the physical processes relevant for cloud formation. 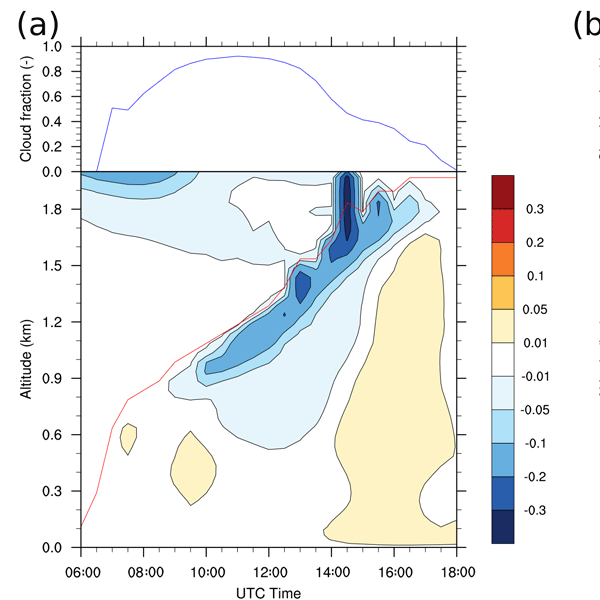 We find that cooling is crucial to reach saturation and a large part of the cooling is related to horizontal advection of cool air from the Gulf of Guinea. This article presents a detailed analysis of anthropogenic and biomass burning pollutants over the Gulf of Guinea coastal region, using observations from the DACCIWA field campaign and modeling. The novelty is that we focus on how these two pollution sources are mixed and transported further inland. We show that during the day pollutants are accumulated along the coastline and transported northward as soon as the daytime convection in the atmospheric boundary layer ceases (16:00 UTC). Several field campaigns were performed in southern West Africa in the framework of the project DACCIWA with the purpose to measure a broad range of atmospheric constituents. Our study presents the analysis of a comprehensive data set which integrates up to fifty-six species of VOC measured at different ambient sites and emission sources. Our detailed VOC estimation for Cote d'Ivoire is three to six times higher than the whole Europe, being transportation the dominant source of VOC. Low atmospheric dynamics and low-level cloud (LLC) macrophysical propreties are analyzed using in-situ and remote sensing data collected from 20 June to 30 July at Savè, Benin during DACCIWA field campaign in 2016. We find that the low level jet (LLJ), LLCs, monsoon flow and maritime inflow reveal a day-to-day variability. LLCs form at the same level than the jet core height. The cloud base height is stationary at night and remains below the jet. The cloud top height is found above the jet. We perform computer simulations of the life cycle of low-lying clouds over southern West Africa during the monsoon season. Such clouds tend not to produce much precipitation, but they do affect the regional climate by modifying the amount of sunlight reaching the surface. The aim of this work is to understand the factors that influence the growth and break-up of these clouds. We show that the number of water droplets contained within the clouds affects how quickly they dissipate. 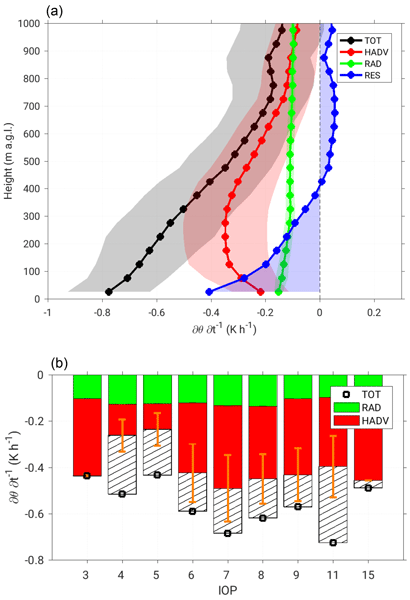 This work sheds light on the complex mechanisms by which coastal shallow circulations distribute atmospheric pollutants over the densely populated southern West African region. Pollutants of concern are anthropogenic emissions from coastal cities, as well as biomass burning aerosol and dust associated with long-range transport. 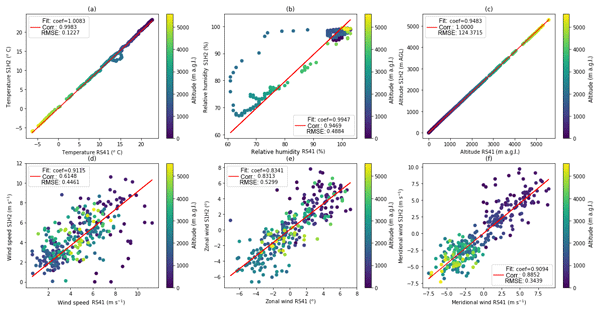 The complex vertical distribution of aerosols over coastal southern West Africa is investigated using airborne observations and numerical simulations. 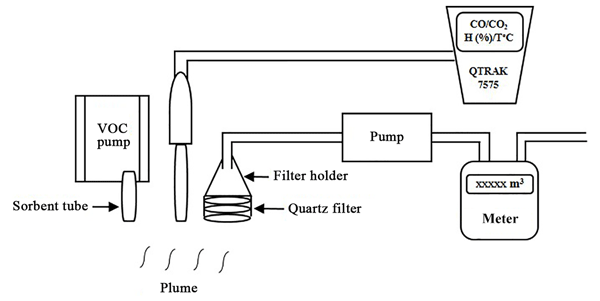 This study provides emission factor (EF) data for elemental and organic carbon, total particulate matter and 58 volatile organic compound species for combustion sources specific to Africa to establish emission inventories with less uncertainty. EFs obtained in this study are generally higher than those in the literature whose values are used in emissions inventories for Africa. This shows that particles and VOC emissions were sometimes underestimated and underlines this study's importance. 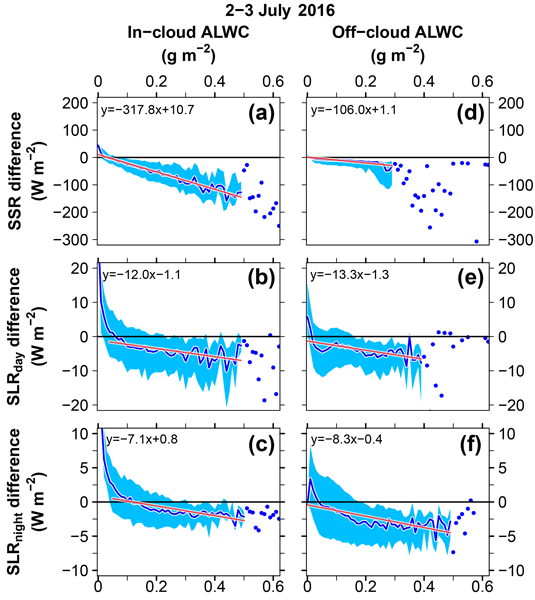 The cleansing capacity of the atmosphere is studied through the hydroxyl radical (OH) chemical reactivity in numerical simulations of natural and urban environments. 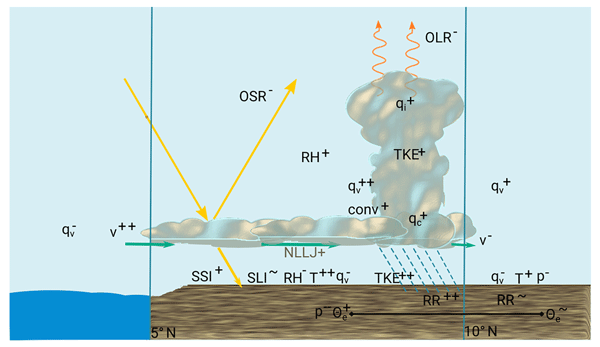 Turbulence-driven segregation of chemical compounds in the atmospheric boundary layer is explored and may partially explain discrepancies between observed and modeled OH reactivity in both environments. 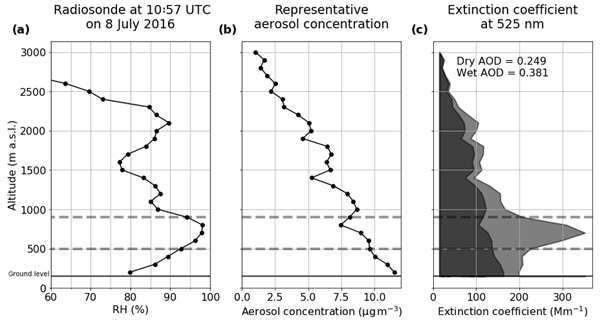 Atmospheric aerosols were collected in Cotonou/traffic (CT), Benin, and, Abidjan/traffic (AT), Abidjan/landfill (AL) and Abidjan/domestic fires (ADF), Côte d'Ivoire, from February 2015 to March 2017. We report the weekly PM2.5, elemental (EC) and organic (OC) carbon, and aerosol optical depth (AOD) in both cities. PM2.5 was 32 ± 32, 32 ± 24, 28 ± 19 and 145 ± 69 µg m−3 at CT, AT, AL and ADF. OC / EC is 3.5 at CT, 2.0 at AT, 2.2 at AL and 5.2 at ADF. AOD is 0.58 at Cotonou and 0.68 at Abidjan. This work, part of DACCIWA WP2 Air Pollution and Health , aims to characterize urban air pollution levels through the measurement of NO2, SO2, NH3, HNO3 and O3 at 21 measurements sites in the district of Abidjan, an important metropolis in western Africa. Results show a high spatial variability of gaseous pollutants at the scale of the district of Abidjan and the predominance of the concentration of two pollutants (NH3 and NO2) related to domestic fires and road traffic, respectively. Extended low-level stratus clouds (LLC) form frequently in southern West Africa during the night-time and persist long into the next day. They affect the radiation budget, atmospheric boundary-layer (BL) evolution and regional climate. The relevant processes governing their formation and dissolution are not fully understood. Thus, a field campaign was conducted in summer 2016, which provided a comprehensive data set for process studies, specifically of interactions between LLC and BL conditions. During the DACCIWA project, the tropospheric chemical composition in large cities along the Gulf of Guinea is modelled using WRF and CHIMERE, with and without biomass burning emissions. The difference shows the net impact of fires on air quality in Lagos and Abidjan. CO and PM2.5 are analyzed over the Guinean Gulf coastal region during the beginning of the 2006 West African monsoon. A biomass burning plume from Central Africa is observed since June at the Guinean coast. In June, the modeled anthropogenic PM2.5 concentrations are higher than in May or July. An important part of the pollution emitted along the coastline is transported to the north at night within the surface layer and within the nocturnal low-level jet.